Just how sane is the Mad Professor? Judging by the results of his recordings, he is one of the sanest producers around. And the world-renowned Reggae musician is coming to Seoul for his performance and lecture in Itaewon in the middle of August. 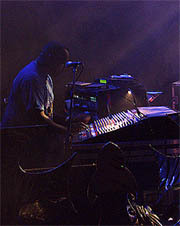 The Mad Professor is one of the seminal producers of dub. His legendary work with dub maestro Lee 'Scratch' Perry vaulted an already fast moving star into orbit. Lee Perry was the original producer of the young Bob Marley, as well as the Wailers. With his support the Professor's path was clear. He's bringing his talents to the Peninsula this summer — a show you won't want to miss! There will be a master class on Aug. 12, 2004 starting at 5 p.m. in a club Nana Itaewon. This is a must the musicians. Your chance to spend the afternoon in at the Nana lounge in Itaewon soaking up information from one of the most respected Dub producers working today. An in depth, behind the scenes look with the Mad Professor into the processes that he uses to produce multi-platinum selling albums and dub plates. There will be a fee of 60,000 won per each attendee. 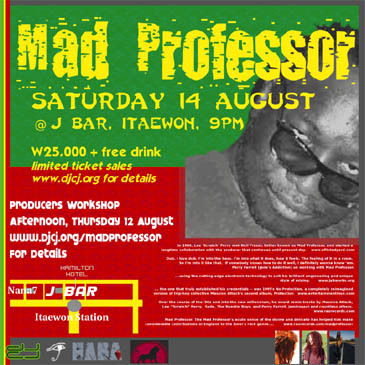 The Mad Professor performance will be held at 9 p.m. on Aug. 14, 2004 at "J Bar" in Itaewon. The 25,000-won admission charge includes a free beer. The Mad Professor plays the latest sounds in the dub genre. The mad professor is going to dub the house, with the vibe being felt all the way to Busan. Be there for the highlight of Seoul's Summer 2004. He has remixed tracks by Sade, the Orb, the KLF, the Beastie Boys, Jamiroquai, Rancid, Depeche Mode, and Perry Farrell, among others. His best-known project, however — and the one that truly established his credentials — was No Protection, a completely reimagined version of trip-hop collective Massive Attack 's second album, Protection. 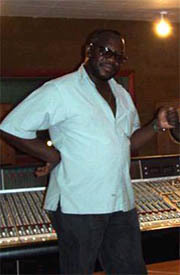 A disciple of Lee "Scratch" Perry, Mad Professor was one of the leading producers in dub reggae's second generation. His Dub Me Crazy albums helped dub make the transition into the digital age, when electronic productions started to take over mainstream reggae in the '80s. His space-age tracks not only made use of new digital technology, but often expanded dub's sonic blueprint, adding more elements and layers of sound than his forebears typically did. In the mid-'90s, he returned to the basics, debuting a more retro-sounding style on the Black Liberation Dub series. Additionally, he ran his own studio and label, Ariwa, which was home to a stable of vocalists (with an emphasis on lovers rock and conscious roots reggae) and some of the finest British reggae productions of the era. As his reputation grew, he became a remixer of choice for adventurous rock and techno acts, most notably revamping Massive Attack's entire second album under the new title No Protection.Mad Professor was born Neal Fraser (or Neil Fraser) circa 1955 in Guyana, a small country in the northern part of South America. He earned his nickname as a preteen, thanks to his intense interest in electronics; he even built his own radio. At age 13, his family moved to London, and around age 20, he started collecting recording equipment: reel-to-reel tape decks, echo and reverb effects, and the like. In 1979, he built his own mixing board and opened a four-track studio in his living room in the south London area of Thornton Heath. Calling it Ariwa, after a Nigerian word for sound or communication. He began recording bands and vocalists for his own label of the same name, mostly in the lovers rock vein: Deborahe Glasgow, Aquizim, Sergeant Pepper, Tony Benjamin, Davina Stone, and Ranking Ann, among others. Amid complaints from his neighbors, he moved the studio to a proper facility in Peckham, South London. In 1982 he recorded his first album, Dub Me Crazy, Pt. 1, and quickly followed it with a second volume, the successful Beyond the Realms of Dub. 1983 brought two more volumes, The African Connection (often acclaimed as one of his best) and the fairly popular Escape to the Asylum of Dub.The Ariwa studio was moved to a better neighborhood in West Norwood during the mid-'80s, and upgraded for 24-track capability, making it the largest black-owned studio in the U.K.
From there, Mad Professor really started to make an impact on the British reggae scene. 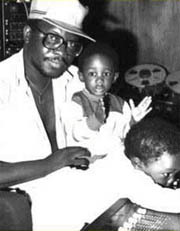 He produced major hit singles for Ariwa mainstay Pato Banton and Sandra Cross, and also helmed the breakthrough album for conscious reggae toaster Macka B, 1986's Sign of the Times. The Dub Me Crazy albums reached the height of their experimentalism during the latter part of the '80s, although by the early '90s they were showing signs of creativeburnout. The 12th and final volume in the series, Dub Maniacs on the Rampage, was released in 1993.Meanwhile, Ariwa continued to prosper as a label, with further hits by the likes of Macka B, Pato Banton, Sandra Cross, female singer Kofi, Intense, Jah Shaka, John McLean, the Robotics, Sister Audrey, Peter Culture, Johnny Clark, and others. Additionally, he began to collaborate with some of reggae's better-known figures; most crucially, he teamed up with main influence Lee "Scratch" Perry for the first time on the 1989 set Mystic Warrior. In 1991, he produced the first of several albums for the groundbreaking veteran DJ U-Roy, the acclaimed True Born African; he also went on to work with the likes of Yabby You and Bob Andy. 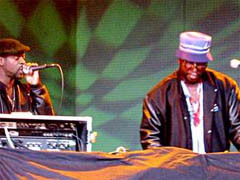 He switched his focus to touring in 1992 and released the 100th album on Ariwa not long after.With his high-profile collaborators, Mad Professor started to make a name for himself outside of the reggae community, and soon found himself in demand as a remixer for rock, R&B, and electronica acts. Over the course of the '90s and into the new millennium, he would remix tracks by Sade, the Orb, the KLF, the Beastie Boys, Jamiroquai, Rancid, Depeche Mode, and Perry Farrell, among others. His best-known project, however — and the one that truly established his credentials — was 1995's No Protection, a completely reimagined version of trip-hop collective Massive Attack's second album, Protection. 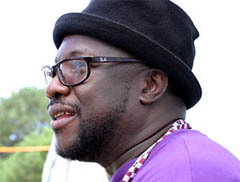 Perhaps creatively refreshed, Mad Professor's own albums started to mix electronics with rootsier, more organic sounds indebted to the earliest days of dub, he left behind the Dub Me Crazy moniker to launch a new series, the subtly Afrocentric Black Liberation Dub. The first volume was released in 1994, and others followed steadily into the new millennium, albeit at a less prolific pace than the Dub Me Crazy installments. More collaborations with Perry and U-Roy followed as well. Cost: W60,000 for the afternoon. Spend an afternoon in the Nana lounge soaking up information from one of the most respected Dub producers working today. An in depth, behind the scenes look into the processes that the Mad Professor follows to produce multi-platinum selling albums and dub plates. The Mad Professor has produced remixes for Lee "Scratch" Perry, Jamiroquai, Sade, The Beastie Boys, Perry Farrell, and Massive Attack. As well as running his own label Ariwa Sounds and cutting legendary "Dub Me Crazy" series he has toured extensively throughout the world playing solo and dubbing the beats for Lee "Scratch" Perry, original producer of Bob Marley and his music. On the day you will receive a booklet outlining the afternoon's schedule as well documentation of the Mad Professor's topics for discussion. The Mad professor will be using 2 x Alesis HD24, mackie 24 channel mixing desk, 2 x digital delay's — further production specifications will be supplied with the literature. There will be question time (and interpreter) allocated at the end of the afternoon session. The afternoon will be held at Bar Nana, the original ambient dub zone in Seoul. To ensure excellent visiblity of the man, as well as size restrictions, this is a strictly limited event.